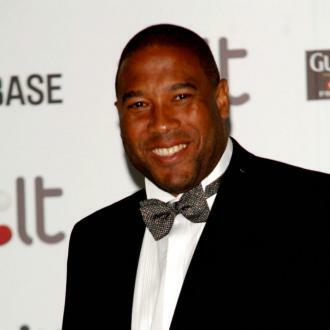 Former footballer JOHN BARNES' fans have launched a campaign to get his New Order track 'World In Motion' to be the 2018 FIFA World Cup anthem. JOHN BARNES' fans are petitioning for his New Order collaboration 'World In Motion' to be the 2018 FIFA World Cup anthem. The Jamaican-born former footballer - who has been popular on the current series of UK reality show 'Celebrity Big Brother' - lent his rapping talents to England's 1990 World Cup campaign with the popular 80s band, and now fans want him to pick up the microphone again. A campaign has been launched on change.org for it to happen, as they feel the ex-Liverpool and Watford player could lift the spirits of the England team ahead of the Cup in Russia later this year. A petition on change.org reads: ''England need all the help they can get in the run up to Russia and this song would give the squad a reason to believe that this really could be the year. OK, maybe not. The ESPN pundit, who got up on stage and performed it inside the 'CBB' house recently, hasn't said no, saying that it would be an easy task to re-record the tune as there aren't many lines to it. The 54-year-old commentator told the Daily Star newspaper: ''I've never forgotten the words. 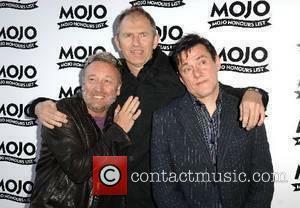 'World In Motion' is still Manchester group New Order's only number one hit. It comes after RedOne was tipped as a favourite to secure the official 2018 FIFA World Cup anthem this year. The 45-year-old Moroccan-Swedish native, who was responsible for launching the career of Lady Gaga after producing her first hit 'Poker Face', has revealed he's already sent his song off to FIFA, who are once again organising the football games. And that's not all, RedOne is also hoping to get Gaga herself to perform the song at the annual sporting event when it launches on June 14 at the Luzhniki Stadium, Moscow. The producer - whose real name is Nadir Khayat - said: ''I am in the running to do the official anthem but I don't know when that will be decided. Getting a hold of the 'Million Reasons' hitmaker won't be a hard task, as he's already working with the 31-year-old pop megastar on a solo record, which will see him named as Boom Boom. He said: ''Gaga promised me that she'd do it. She's already recorded vocals for two songs. ''I'm just waiting for her to give me the OK.
RedOne will make it a hat-trick if he does land the gig, as he previously wrote the song 'Bamboo' for the World Cup in 2006 and Jennifer Lopez and Pitbull's 'We Are The One (Ole Ola) for Brazil in 2014.